Tom and Jerry Bomberman, 2 player bomberman game, Play Tom and Jerry Bomberman Game at twoplayer-game.com. Everyone knows about the challenge between cartoon characters Tom and Jerry. Tom, wants to catch Jerry but he fails all the time. But this time he is very close. Jerry needs your help. How about a challenge with Tom and Jerry between bombs? 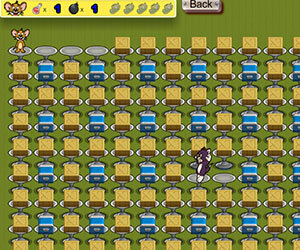 Set bombs to blow up boxes and find rewards. Look out for Tom as well as your own bombs in this free online arcade game!